□Tanaka Y, Matsuo K, Yuzuriha S, Shinohara H : Differential long-term stimulation of type I versus type III collagen after infrared irradiation. Dermatologic Surgery 2009;35:1099-1104. □Tanaka Y, Matsuo K, Yuzuriha S, Yan H, Nakayama J. Non-thermal Cytocidal Effect of Infrared Irradiation on Cultured Cancer Cells Using Specialized Device. Cancer Science. 2010;101(6):1396-1402. 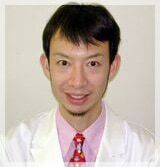 □Tanaka Y, Matsuo K, Yuzuriha S : Long-Term Histological Comparison between Near-infrared Irradiated Skin and Scar Tissues. Journal of Clinical, Cosmetic and Investigational Dermatology 2010;3:143-149. □Tanaka Y, Matsuo K, Yuzuriha S. Long-Lasting Relaxation of Corrugator Supercilii Muscle Contraction Induced by Infrared Irradiation. ePlasty. 2011;11:e6. □Tanaka Y, Matsuo K, Yuzuriha S. Long-Lasting Muscle Thinning Induced by Infrared Irradiation Specialized with Wavelengths and Contact Cooling: A Preliminary Report. ePlasty 2010;10:e40. □Tanaka Y, Matsuo K, Yuzuriha S. Near-Infrared Irradiation Non-thermally affects Subcutaneous Adipocytes and Bone. ePlasty 2011;11:e12. □Tanaka Y, Matsuo K, Yuzuriha S. Near-Infrared Irradiation Non-thermally Induces Long-lasting Vasodilation by Causing Apoptosis of Vascular Smooth Muscle Cells. ePlasty. 2011 in press. □Tanaka Y, Matsuo K, Yuzuriha S. Near-Infrared Irradiation Non-thermally Induces Degeneration of Myoglobin, Resulting in Apoptosis of Vascular Smooth Muscle Cells and Long-lasting Vasodilation. ePlasty. 2011 submitted. Copyright (c) 化粧品通販ならドクターエビーゼオンラインショップ all rights reserved.